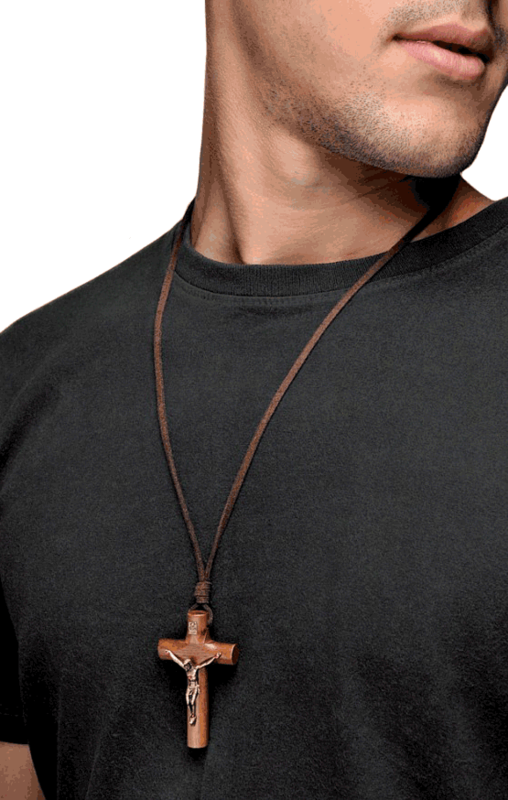 Wooden Cross Necklace on Leather Cord for Men Pendant 3"
This brown wood cross necklace is great for guys. 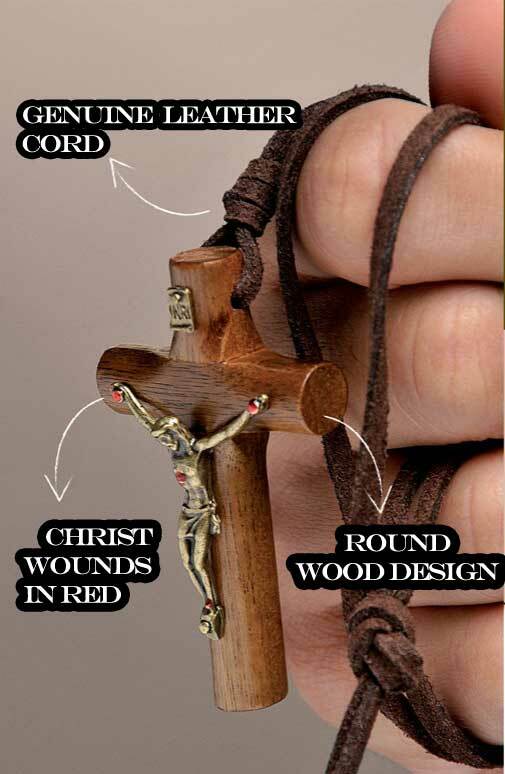 The 3" wooden crucifix comes hung on a 20" genuine leather cord. The cross is made of hard Brazilian wood and features Christ corpus with his wounds marked in red paint. This is one of our best looking cross necklaces for men. Very masculine yet not too big.